LAS VEGAS, June 16, 2008 - In a unique demonstration of the high performance and ease of installation of Hitachi LCD projectors, voice and data solutions provider IPLogic recently helped elevate the University of Buffalo's Neurosurgery Department with cutting edge technology, through the installation of an audio/video system that allows the department to stream video from its surgeries to two neurosurgery suites and an auditorium, which includes a Hitachi CP-X505 LCD projector, using a Hitachi UL-604 long-throw lens. The projector displays video from operating rooms, which allows large groups of students and doctors to view surgical procedures. The system at the University of Buffalo includes broadcast, streaming video and wireless audio technologies. Footage of the surgeries is captured via broadcast cameras and, along with images from magnetic resonant angiography machines, is controlled with a Crestron AV2 control system. The AV2 allows operators to encode the material for global streaming video. Additionally, this material can be distributed to a Crestron MPS100 controller in the auditorium and to the Hitachi CP-X505 projector, which displays the video onto a 10-foot Da-Lite screen. Based in Albany, NY, IPLogic is a rapidly growing voice and data solutions firm delivering voice and unified communications, network security, mobility and wireless applications, managed services, multimedia solutions, data storage and protection and IT staffing solutions. According to Peter Grosskopf, manager of the MultiMedia Group with IPLogic, the decision to install the Hitachi CP-X505 projector was based on successful deployments of Hitachi projectors used in other projects. 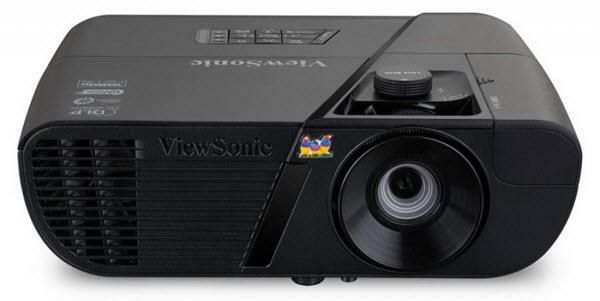 "For years we have been using Hitachi projectors for all our conference rooms," said Grosskopf. "We have a long-standing relationship with Hitachi and always receive the best support from them and their technology outperforms other projectors in this size category Hitachi upholds the industry standard, so we always lead with them." Hitachi has a unique position in the marketplace by manufacturing and developing its own core technologies to provide consumers and businesses with optimal product performance in each of Hitachi's product categories. For Business products go to www.hitachi.us/digitalmedia. For consumer products, please visit www.hitachi.us/tv.